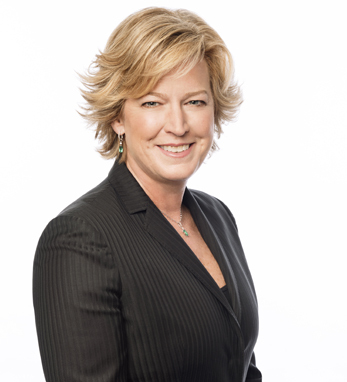 As CEO of Starcom USA, Lisa Donohue is driving a true next-generation media agency focused on the convergence of media, technology and creativity, enabling the design of unique human experiences in the one-to-one era of marketing, at scale, with impressive results. Under Lisa’s leadership, Starcom has exceeded challenges on behalf of the world’s leading marketers and new establishment brands, including Airbnb, Allstate, Bank of America, Kellogg Company, Kraft Heinz, Procter & Gamble, Samsung, Visa, and more. She has driven Starcom’s industry-leading digital offering and invested heavily in the agency’s Data & Analytics practice. Since becoming CEO in 2009, Lisa has led Starcom to be the most awarded media agency in the country. In 2014, Starcom Mediavest Group was named Most Effective Agency Network by the North American Effies, and Media Network of the Year at the Cannes Lions International Festival of Creativity. Lisa is a third-generation Irish American on her father’s side and fourth-generation on her mother’s. Both families are from Cork.